Welcome to Turning Point Christian School, a ministry of Turning Point Christian Church who share the core values of knowing Jesus and making Him known. 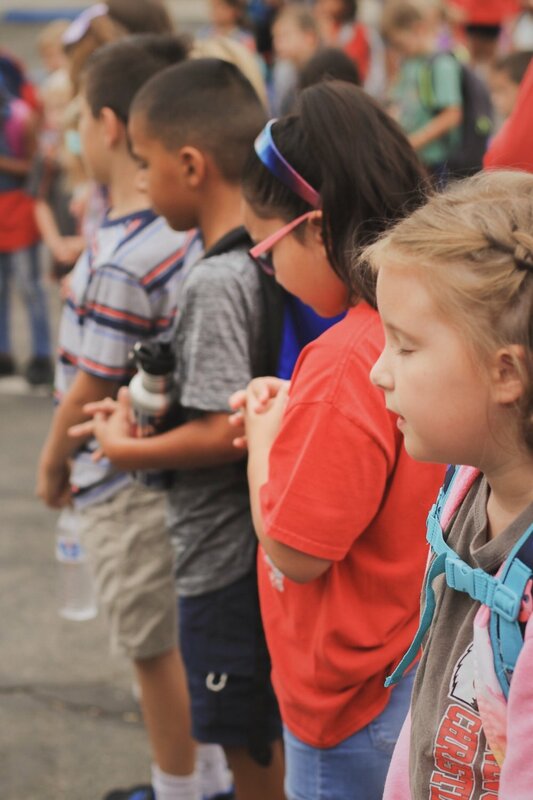 We believe academic excellence thrives within a challenging program that requires students to be engaged, active learners while developing Christ-like character. Our mission is to develop a strong foundation for the whole child to soar to excellence. We lead and come alongside our students academically, emotionally, and spiritually; pointing them to a relationship with Jesus that will impact them now and into their future. TPCS offers a wide range of programs for preschool through grade 8 and extended after school care. Our small classrooms offer challenging academic curriculum that is balanced with creative programs for physical, spiritual, and social growth. Preschool students attend small classes separated by age to ensure age appropriate developmental learning. TPCS Middle School program are from 6th through 8th grade. TPCS Elementary program are from Kindergarten through 5th grade. Our Extended Care is a before and after school childcare program for ages 5-12 years old. I love that TPCS has such a high standard in their education curriculum.. The teachers are FANTASTIC and it is very apparent that they love their jobs and the kids… I am thankful for such a great school. TPCS has an excellent reputation in the community as a caring, dedicated, professional staff. This section is for all current TPCS Students and Parents. Here you can find information on upcoming school events, school news and photos from our school programs and events. Catch up on the latest news and download our monthly newsletter. Get a picture of all that is happening at TPCS!